In a 2013 case a young man, previously diagnosed with schizoaffective disorder, schizophrenia, and depression, was admitted to the ER. He had previously been admitted voluntarily to numerous Maryland hospitals for psychiatric treatment, including the defendant hospital, several times. He was living with his mother and teenage sister at the time in question. His mother had previously brought him in for not taking medications, not sleeping, and exhibiting pressured speech. The hospital staff admitted him to the psychiatric unit for 8 days and he was released when his psychosis was under control. This time, his mother told the nurses her son had bipolar disorder and was having a psychiatric crisis, and had not eaten, drunk any water or slept in days. A nurse took him to have his cardiac state evaluated. The nurse performed an initial assessment. He was given a sedative, and was waiting for psychiatric evaluation. Before it could take place, he slipped away. There was no sitter or other staff member assigned to watch him and so he left the hospital wearing only a hospital gown. He approached a bridge. When he arrived at the bridge, he saw police cars and two officers slowly approaching him. In a state of confusion and psychosis, he jumped off the bridge and suffered several serious fractures. He sued the hospital for medical negligence. He argued that he should have been monitored by a sitter or other staff so he didn’t leave the ER and hurt himself. 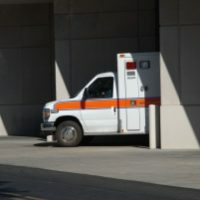 The court entered judgment on the first day of trial, explaining the hospital didn’t owe the plaintiff a legal duty of care and had no legal authority to keep him in the hospital. The patient appealed, asking the appellate court whether the hospital owed him no duty of care unless it had legal authority to stop and restrain him. The patient claimed that when he was in the ER, he was already under the care of doctors and awaiting an evaluation from a psychiatrist. Under Maryland law, the health care provider-patient relationships gave rise to a duty of reasonable care. The appellate court explained that though the trial court had framed the issue as a purely legal question, it had actually made factual determinations and drawn inferences. It had rejected various versions of events and expert opinions. The appellate court explained that the central issue of the case was made irrelevant by the judge’s findings. Specifically, the question the court should have asked: since the hospital owed a duty of care to its patient, did his crisis create a duty for hospital personnel to take measures to control his actions so as to make it unlikely he would try to leave the ER. As an expert doctor had opined in connection with the case, whether a sitter could have detained the patient wasn’t the issue. Rather, if a sitter had been assigned whose sole responsibility was to watch the patient and that sitter had seen him leave, medical personnel would have had the chance to intervene before he left. The judgment was reversed and the case was sent back to the lower court. If you have been hurt because of a hospital’s negligence, you should consult with an experienced Maryland personal injury attorney as soon as possible. Contact the attorneys of Steinhardt, Siskind and Lieberman at (866) 902-4111 or via our online form. Unlike many other personal injury attorneys, we can also help you determine the full range of benefits available to assist you after an accident.